It is an honor and privilege to be selected to present at SQL Saturday Tampa on March 2, 2013. We will be at a new location this year, Hillsborough Community College in beautiful Ybor City, due to our growth over the last couple of years. In addition, we have three pre-cons this year and I will be attending the “Creating Your Best Technical Presentation: A Speaker Workshop” by Buck Woody (b|t). Hopefully, after this session, my presentation skills will continue to improve before my session on that Saturday. If the winter blues got you down then head down to beautiful Tampa for a warm weekend of SQL learning and register for SQL Saturday #192. This year I will finally get to attend two other SQL Saturdays that are in the relative vicinities. In the past there was always something going on during those two weekends. As it stands, I am planning on submitting my newest session, Backups: Getting the Most Out of Your Storage, to both of those events. Curious as to what they are? SQL Saturday Jacksonville (#SQLSat215) will be April 27th and SQL Saturday Atlanta is tentatively scheduled for May 18th. Come on out and join me at all three of those events and maybe one of them will have some SQLKaraoke for the after event! Enjoy! Growing or Dying? Your Choice! This morning as I return back to my SQL boxes after a week of unrelated vendor training, I ponder the truth from Captain Willard in Apocalypse Now “every minute I stay in this room, I get weaker, and every minute Charlie squats in the bush, he gets stronger.” In other words, every minute I work on some other task, my SQL Server skills are diminishing. This is a sad truth mainly because some tasks are inevitable and must be completed. However, we must combat the atrophy with additional training and flexing our proverbial SQL muscles at every opportunity within an adequate life balance, of course. How can I flex my SQL muscle today? I think I will watch some MCM videos to thoroughly work out the muscles. Enjoy! With today being the first day of the last quarter of 2012, I thought it would be good to review my goals for the year and see where I stand in my progress. I will italicize the updates at the end of each of the original items. I will post daily to this blog in order to give back to the SQL community that has helped me so much over the years. So far so good on this one! I will spend time daily helping people on twitter, SQL blogs, and various SQL-related websites such as SQL Server Central. I have tried to do this regularly, but it is harder than blogging daily. I thought this one would have been easier. I am setting a goal of 300 followers on Twitter which would double my existing followers for 2011. I am at 377 followers today, thanks everyone! I will attend at least ten of the twelve Tampa Bay SQL Server User Group meetings. Thus far I have not missed a single one! I will atend three to five other SQL User group meetings, such as the Tampa BI group or Orlando’s MagicPASS. There has been a new Hillsborough SQL Users Group that I have attended three sessions. I will attend every Tampa VMWare User Group meetings which occur quarterly. I am 100 percent on this one (mainly because there hasn’t been a meeting since December! 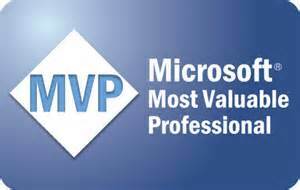 I will attend other events that interface with SQL Server or VMWare such as the Orlando IT Pro Camp scheduled for January 21, 2012. Missed the IT Pro Camp, I need to try to find one before the end of the year. I will attend one Microsoft SQL training course this year, but I cannot say at this time what that course will be as that will depend upon my employer . 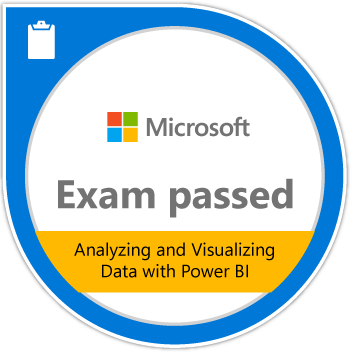 I would like to attend Course 2778a (Writing Queries Using Microsoft SQL Server 2008 Transact-SQL) and Course 6234 (Implementing and Maintaining Microsoft SQL Server 2008 Analysis Services. 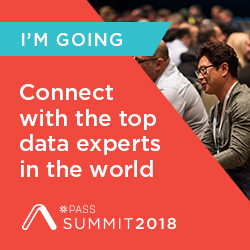 I did even better than that, I attended a SQLskills.com class and I am also going to the PASS Summit in November. I would like to attend SQL Rally in Dallas this year and I would definitely like to attend the SQL PASS Summit, but with one child in college this year and two more entering over the next two years, I may have to pass on this one for a couple of years until they are situated and my bank account returns to normal. I did not get to go to Rally, but I am going to the Summit. I will continue to take at least one to two classes a semester online in order to complete my degree in Business Administration. All those Engineering and Computer Science classes I took 20 years ago are not relevant today and I would like to possibly return to consulting in five or ten years and that degree would be more beneficial in that long-term goal. I am still on track here. I will continue SQLAndy’s recommendation to meet at least three people at every SQL event. This is a great recommendation for networking. It is hard sometimes to break out of our introverted ways. I have been working hard to do this every time and it pays off. I will attain my VMWare Certified Professional 4 certificate this year for VMWare. This did not happen as VMWare came out with a new version before my window closed to take the exam. Now I will have to take a version 5 class in order to take the exam. Never Heard of SQL Saturday? Karla Landrum (twitter|blog), Community Evangelist for SQL PASS, made the comment this morning on Twitter that there are many people out there in the SQL community who still have not heard about SQL Saturday, the free training event that is taking the world by storm at a location near you every Saturday of the year. This does not shock me even though I have been in the know for a while now because I was once that guy who did his job and did not know much about PASS or SQL Saturday. There was a point where I had belonged to professional associations and decided that annual fees with little to no interaction was no longer for me. Thus, when I started focusing on SQL Server several years ago, I did not seek out any professional associations for the simple fact that I had associated them with an annual fee for a nice little add-on to my resume. I had belonged to the HTML Writer’s Guild, the International Webmasters Association, and the Capital PC User Group in Washington, D.C. I joined that group and then could never make the meetings because of my work schedule, but it looked great on my resume. There were a few other groups, but I honestly cannot remember them now. This is not a knock on these groups as I am sure that they are wonderful groups for some people, but that to me was what these professional associations were. SQL PASS is so much more and then some. I honestly wished someone had told me about it years ago. So make it your mission today to tell someone about PASS. They may already know, they may not. Do them a favor and spread the word. Enjoy! Today’s installment of the Saturday SQL Schoolhouse is brought to you by our fine friends across the pond, SQL Bits. One day I would like to attend this conference as I hear that it is quite an event! With the conference aside, this is an excellent SQL Server educational resource as there are all the previous presentations from the past years’ conferences and many of them contain video presentations! Take advantage of this excellent educational opportunity! SQL Saturday #110 in Tampa is only a few days away…have you registered yet? Check out the schedule of speakers, especially if you have already setup your Guidebook app as there has been some minor shuffling over the last few days. There will be 35 great sessions and lunch is provided thanks to our great sponsors. If you are interested in volunteering, please sign up now as your help is always appreciated. I look forward to seeing you there on Friday, if you are volunteering, and Saturday for some great #SQLAwesomeness!! We interrupt this episode on Sunday Funday to remind everyone that next Saturday, March 10th, is SQL Saturday #110 in Tampa. Over the last year, I have become a passionate proponent of attending SQL Saturdays working diligently to attend ones that are close to me. How can you pass up free training? If you have not signed up to attend this SQL Saturday, then what are waiting for? Check out the schedule of sessions, as we have some pretty top-notch speakers. My biggest problem is that there are too many good sessions and inevitably, I miss a great one. That is a good problem to have! If you want to help out with this SQL Saturday, be sure to fill out the volunteer section of your registration. If you see me at SQL Saturday, feel free to say howdy! On the first break of day four of the SQLskills.com Immersion Event training, I am contemplating the indelible mark this training has left on my career. Every training should leave a mark, hopefully for the better and hopefully not a scar. And the quote that followed most questions asked in the class: “…it depends!” which was followed with at least two opposing view points depending upon the situation. These two quotes have really changed my perspective on how I answer or solve problems on a day to day basis. Instead of taking a limited, mostly narrow focus based upon my knowledge and experience, I should take a more encompassing approach based upon the problem and the ramifications of the various solutions. How do you approach your DBA problems? Today is the first day of my SQLskills.com Immersion training, thus I prepared this blog post a few days ago. 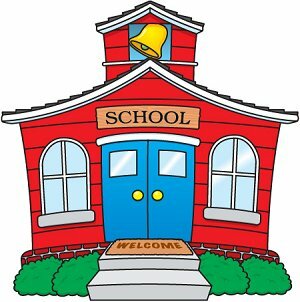 If you have been reading my blog, then you should be able to surmise that I love learning. Being in the IT field, I am not sure how you can get by without training because of the speed at which technology changes. Luckily, my current employer also believes in and values training. When they ask me if I want to go to training, I submit three or four different classes. Of course, they do not all get approved, but all they can do is say no. Thus, it is worth the effort on my part and it demonstrates my committment to my career. Do you value training? Are you taking advantage of the training opportunities provided by your employer? If the budget is tight, there is no reason why you cannot attend many of the free webinars, code camps, SQL Saturdays, and especially local users groups. If you are not advancing your skills, then maybe technology is not the right field for you. So sign up for training. Go! Do it now!